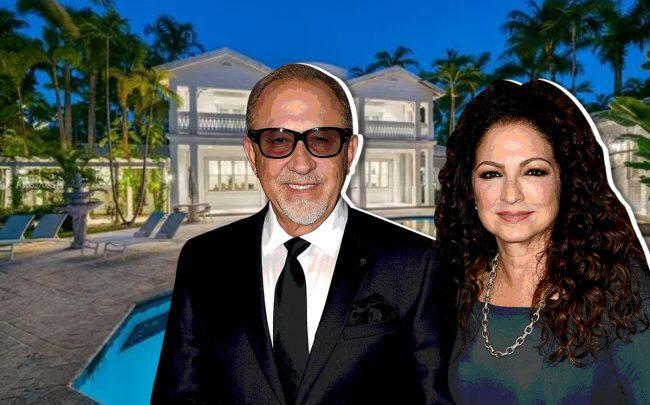 Gloria and Emilio Estefan are giving the sale of their Star Island guest home another try. The Estefans are relisting the 1.34-acre property at 1 Star Island Drive in Miami Beach for $32 million, a 20 percent reduction in price from when it first hit the market in 2015 for $40 million. The waterfront estate, with a five-bedroom main house and a three-bedroom villa, is now on the market with Stephanie Bienstock of HB Roswell Realty and Liz Lopez of RelatedISG International Realty, according to the Wall Street Journal. The Jills of Coldwell Banker had the listing in 2015. Emilio Estefan said he bought the property for his mother, who later died, and then planned for his children to move in. Records show it last sold in November 1993 for $1.84 million. Estefan also told the Wall Street Journal he hired architect Carlos Ott to design plans for the waterfront lot. The Grammy Award-winning couple live nearby on the island.